Located on Wears Valley Road, just half a mile from the parkway and downtown Pigeon Forge, Clabough’s Campground & RV Park is a perfect combination of location and atmosphere. 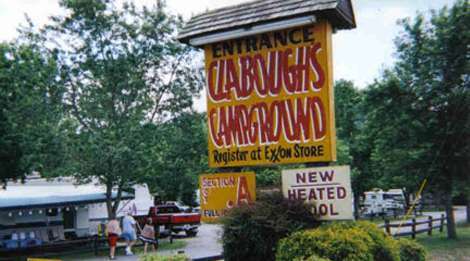 Family owned and operated since 1978, Clabough’s has a friendly and courteous staff. Clean bath houses with tile shower are complete with air conditioning in the summer and heat in the winter. 310 sites are available in addition to two swimming pools, a lazy river, and an onsite restaurant and grocery store.